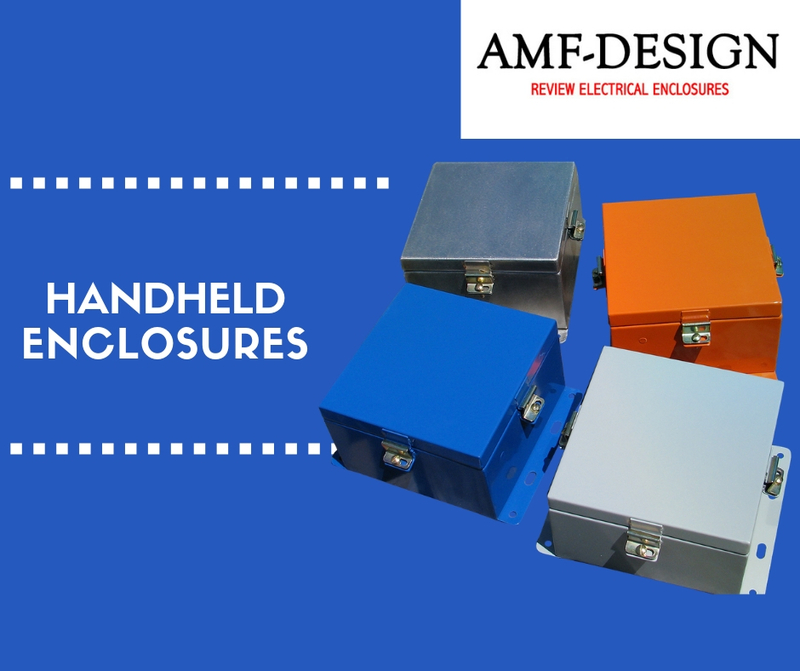 This type of enclosures can be utilized for a wide range of electronic uses and applications. It is most useful when used in manufacturing pagers, scanners, remote controls and other handheld electronics that are powered by batteries. The enclosures are made sure to fit smaller parts and components that can be found in these setups. They are easy to use because they are ergonomic and easier to hold. This makes them very ideal for applications that needs small range of electronics. Which handheld enclosure style can fit your project? One of the main considerations for handheld enclosures that makes a large difference from one another is its size because some of its specifications might only fit for certain applications. For example, handheld enclosures made for remote and fob enclosures might be different from the ones that are made for medical devices. However, there are sizes that are more versatile and can be used for wide range of electronics. To give you a clearer picture, here are the different applications and sizes that can be made for handheld enclosures. Key Fob – these enclosures are manufactured for duplicating or copying new key fobs. This is also known online and is given the name “empty key fobs.” Handheld enclosures made for this application typically have buttons for the electric equipment controls. These enclosures usually has molded key rings to be attached to key chain. Box type – This is one of the considered versatile and flexible types of handheld enclosures that are most often time used for wireless communication devices such as: sensors, and test measurement equipment and other electronic devices that in the same range. Box type handheld enclosures can only come in one shape. It can also come with grips so that it can be easier to hold. Remote Control – Since handheld enclosures are versatile and can be used for small electronic devices, handheld enclosures can also be designed to protect remote control devices. They can be delivered with accompanied recessed area for the remote control’s membrane keypads. Usually, these enclosures have a space provision for AA battery compartments. USB – with the recent developments in the technology today, handheld enclosures are also designed to protect USB. It has a three-piece snap specifically designed for USB applications. Some of these enclosures may come with flame inhibiting properties or flame-retardant polycarbonate. Some handheld enclosures have a space provision for either single 9-volt battery or a 2 AA battery compartment. Design engineers should check which kind of battery would fit the compartment of a handheld enclosure before making a purchase. If companies would like to power their electronic devices with a 20-millimiter coin cell battery, they can order a coin cell battery holder that will perfectly suit their needs. Not all handheld enclosures has the same space provision for batteries thus companies should explicitly state their size requirements for battery compartments.